Identifying a suitable career as per one’s interests, skills, and strengths is a daunting task. To prepare for this career is even tougher. 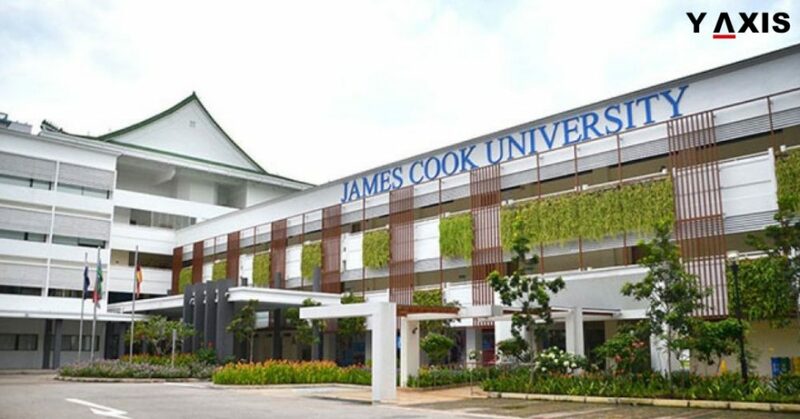 The James Cook University’s campus at Singapore has a Career Services Team that helps undergrads in the process. The team helps students at the campus embark on their chosen careers. As per the Graduate Employment Survey of 2017, 87% of JCU students secured a job within 6 months of graduation. 79% of these students had full-time jobs. 48% of the students were employed in the private sector while 31% were in government jobs. The Straits Times spoke with Kalai Selvan Krishnan and Norhafizah Abdul Rashid of the Student Careers Dept. Q: How does the Career Services Team at JCU help students with their job-hunting skills? A: We provide students with a career development program. The program includes workshops that cover strategies for the job search. We also help students prepare the CV and the cover letter. Lastly, we also help develop the student’s interview skills. Regular career talks are organized which help students get a feel of different sectors. There is also group and individual counselling sessions for students. This helps them build a positive mindset. It also helps them prepare for the workplace. The team also advises students on the availability of jobs in the current market. They also advise them on their career paths and progression. Q: How do you help students pick the most suitable career path? A: The Career Services Team has close connections with many employers across industries. This gives the team a better understanding of the employers’ needs. We also talk regularly to the students to understand their interests. We also focus on the subjects that the students do well in during their studies. After evaluating all of these factors, we advise students on the most suitable career path. Q: How do you help students network with potential employers? A: The JCU organizes career fairs, tours, and talks at least 4 to 6 times in a year. This helps current students, as well as alumni, interact with industry experts. Career fairs also help international students on their pursuits of a suitable career. Workshops on effective networking and job search help students network well and make a good impression on potential employers. Q: How are internships important for career development? A: Students can gain valuable work experience from internships. The team regularly meets up with employers to explore opportunities for internships. We then match the students based on their skills and interests to various organizations. We offer internship opportunities to both domestic and international students. Q: What are some general tips for students who wish to enter the workforce? A: It is important to view job-hunting as a positive challenge and not be stressed by it. Students should have realistic career goals and plans. They should also draw up a job search plan. While applying for jobs, research the company well. Check if the job that you applying to matches your skillset. You should craft your CV and cover letter as per the requirements of the job. Your CV should highlight your strengths and how they will be useful to the organization. In this social media age, it is also wise to tidy up your social media accounts like LinkedIn, Facebook, etc.